INSIGHT EU or IEU MONITORING - A Smarter View on Europe: Fact-checking tools and targeted EU policy and regulatory monitoring. Our telegram is published delayed by one day. It shows the headlines of our monitoring content, only. You can buy the full version of this issue here. To ask for a weekly trial of this monitoring mail click here or fill in this form. A Smarter View on Europe. 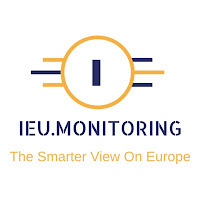 Fact-checking tools and targeted EU policy and regulatory monitoring: Energy, Climate, Environment, Legal & Corporate, Euro & Finance, Trade & Commerce, Digital Innovation, Growth & Jobs, EU Funding, Smart Cities, and the EU Agenda. IEU-Dossiers on Artificial Intelligence & Industry 4.0, Autonomous & Connected Driving, and Internet Governance. Other policy monitoring and dossier services on demand. Sign up for a free trial (using the pop-up form, or our "Free trials" web page). LOOKING FOR DATA / DOCS?